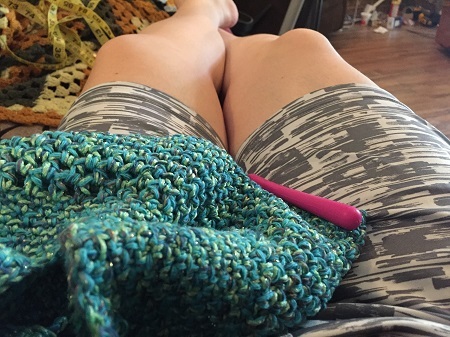 I admit: with so much construction going on this month, not to mention heat, medicine issues, the boys’ camps, Jason traveling, blah blah blah, there’s been a lot of stress, and with all the stress, I’ve coped with copious amounts of crochet. Considering the tons and tons of yarn I had sitting around, it was probably good to use some of it up. I’ve also been quite pleased with the results, and so yes, I will show them off here! First up, I made a beanie for my good friend Natalie. 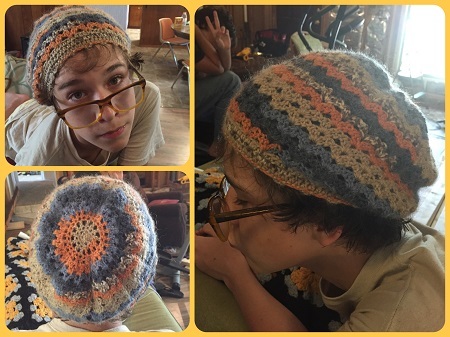 I used the same pattern, from One Skein Wonders, as the beanie I made back in March. I loved that beanie so much, and Nat gets cold easily, and the colors in this particular color-changing skein reminded me of her. Ambrose is modeling the beanie above. My mom’s birthday was in early July, so I decided to crochet some candle-holder covers for her. 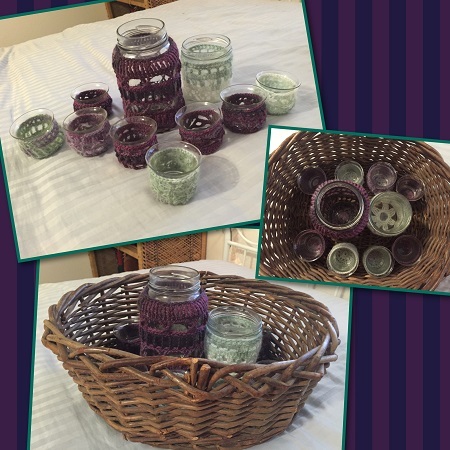 The boys and I went down to our local thrift store and bought jars – eight votive candle holders and two mason jars, as well as a basket to hold them all. Then I used a couple different tiny-sized yarns to make the covers. Each was unique, making up my own pattern. Some came out better than others. I have a lot of extra yarn lying around, mostly leftovers from older projects, and I wanted to start using it up. 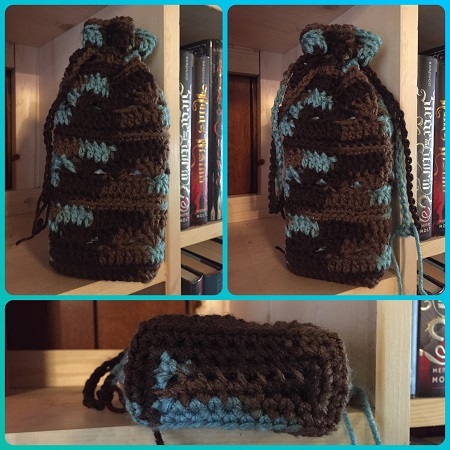 I also have a lot of yarn in general, and wanted a bag to hold a bunch of it. 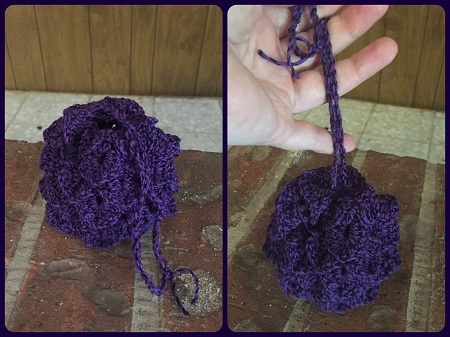 I’ve seen various pictures of granny-square bags around, and yarn-bags, so I decided to cobble together my own. The above is the end-result. The majority of the grannies used the pattern found on this blog, modified to add another layer for edging. Then, ironically, I joined the squares using methods not featured at that link. Ha! I learned a lot about joining and blocking on this project, and in the end, it holds probably a third of the yarn I own (yes, I own too much!). Plus, it used up 6-7 leftover skeins and a big chunk of several others. 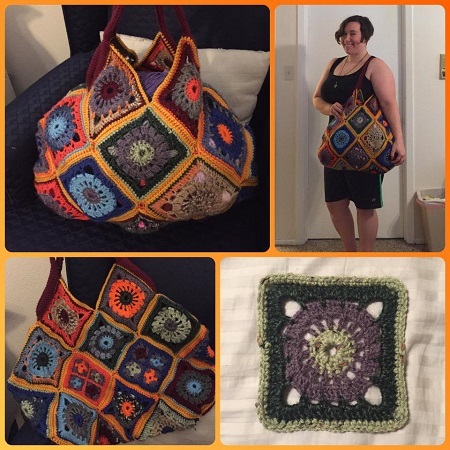 And granny squares always remind me of my maternal grandmother, so this bag makes me happy every time I see it! 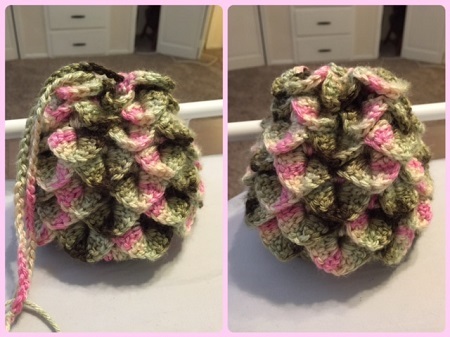 The follow three pics are just further dragon-egg dice bags and tarot bags that I made throughout the month. I really like little projects like this! Very quick and satisfying. Everything else I worked on in July is gift-related, and so I’ll save all that until after said gifts are received! 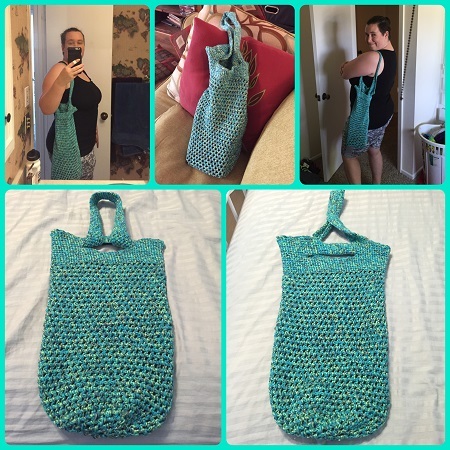 This entry was posted in Crochet and tagged I made a thing., lists, Yarn Art. Bookmark the permalink. Very cool. 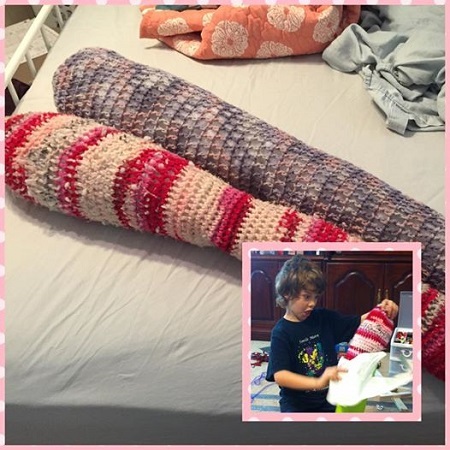 Crocheting seems like one of those hobbies that really can go anywhere and you can do at any time. Unlike, say, cross-stitch which requires a bit too much prep and room to do properly and keep your project clean. I can’t wait to see what your gifts are! I could never get into cross-stitching. Too time-intensive. I love having mini-projects like this!